13th november, i didnt have a good night sleep so i spent most of the night watching TV or walking about to keep my muscles moving. I had JUST drifted off about 6am but 10 mins later, the nurse woke me up to do my blood pressure!!! ohh i woke up with a headache so i had some paracetamol. The doc came round just after my parents arrived at 8.30am. He told us what to expect and how the operation went well. He took off my patch to reveal a black eye and lots of swellling. 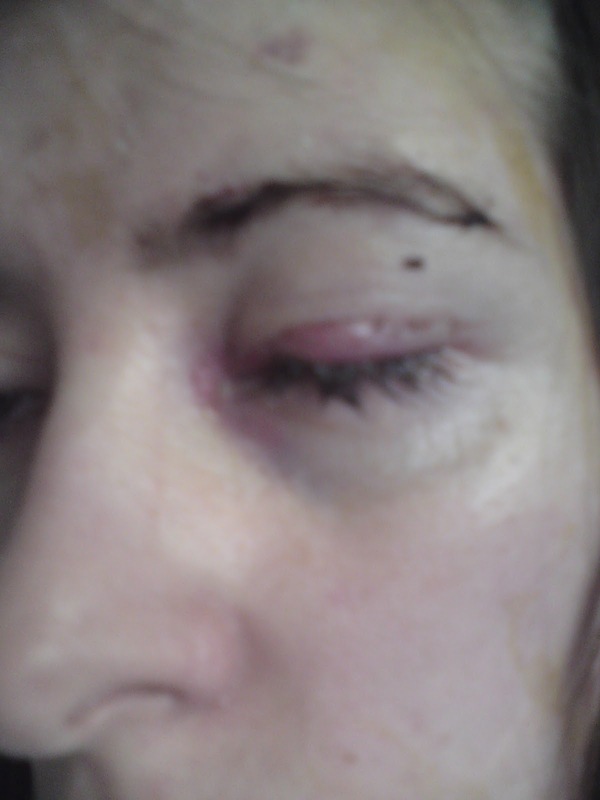 it was worse than the last op as that eye had more done to it. He checked my right eye too and was happy with it. he told us the swelling would get worse as time goes on before it goes down and he couldnt determine what it would the eye would be like til it had gone down. After that, we were free to go home and i could recover.